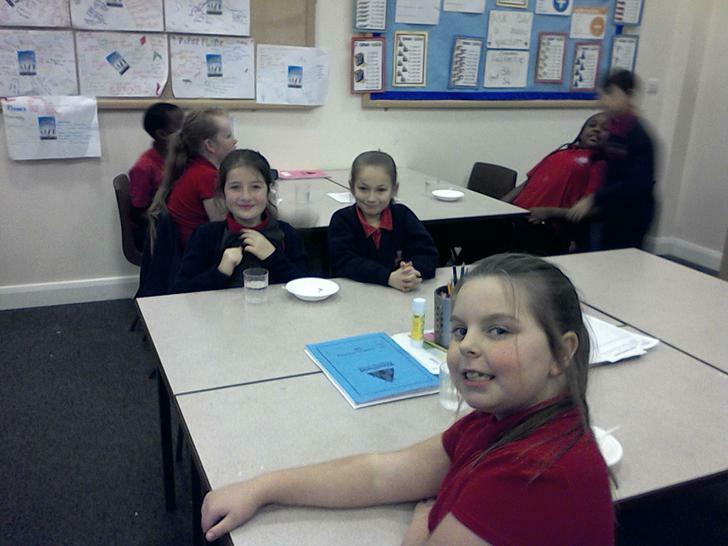 Welcome to year 5W's blog of the week! This week has been very exciting at Westfield...we have had an alien invasion! The school has been wondering all week who the alien is that came and why did it choose to come to Westfield. 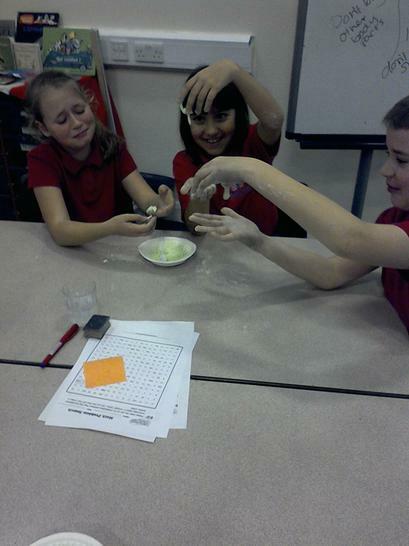 We have done lots of work in class around the alien, trying to find out more about it. In maths this week we have continued to look at multiplication and how we can use methods to multiply big numbers. We started by using the grid method to multiply 1 digit by 2 digits, 2 digits by 2 digits, 3 digits by 2 digits and even 3 digits by 3 digits! 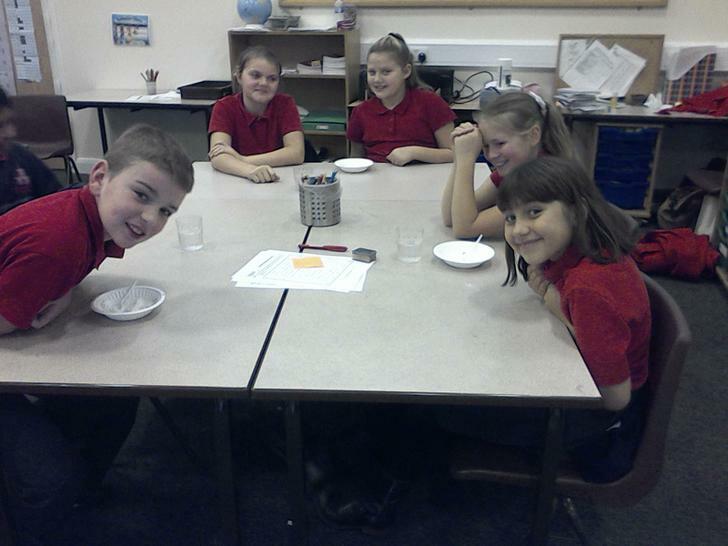 Well done to everyone in class that never gave up, it is a tough method to grasp and you have all worked really hard. Some of us then moved onto looking at multiplying big numbers using the long multiplication method, again a very difficult concept to grasp but the children persevered and never gave up. Well English this week has been very exciting! We have based all our work this week around the Alien coming to Westfield. At the start of the week we went into the ALP's as we had heard that the alien had left an egg there, so we went to investigate. 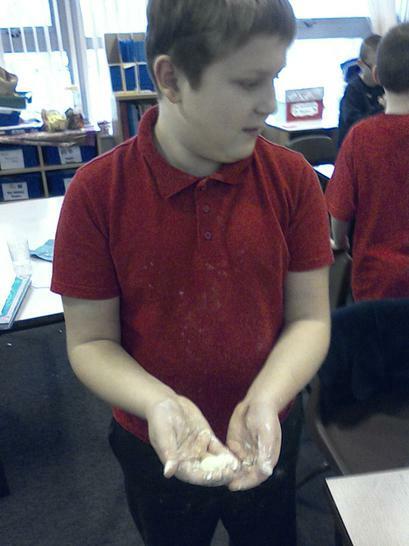 We gathered as many notes as we could about the egg and back in class we wrote some excellent sentences using adverbs, adjectives and noun phrases about the strange egg in the ALP's. 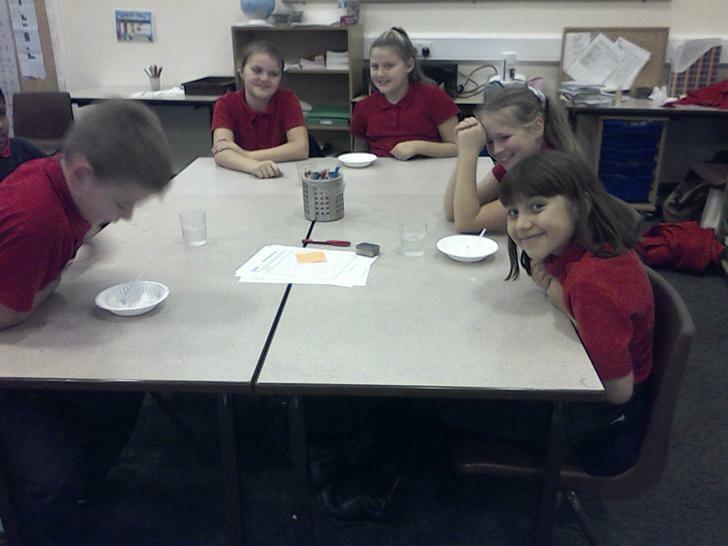 We then looked at the possible planets that the alien could have come, we compared the planets using comparative language. I must say the sentences that the children came up with were amazing! Then we looked at possible aliens, we wrote some really SUPER sentences about different aliens. 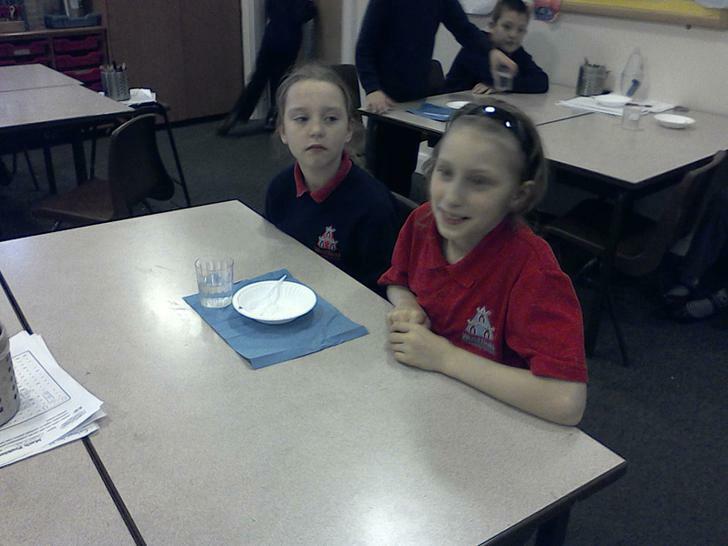 Again the children WOW'd with their super sentences knowledge. 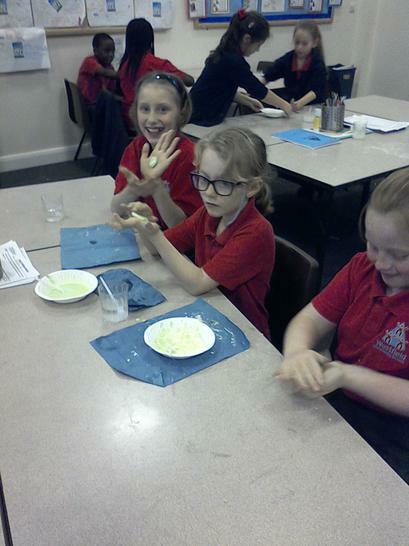 This week in science we made slime! 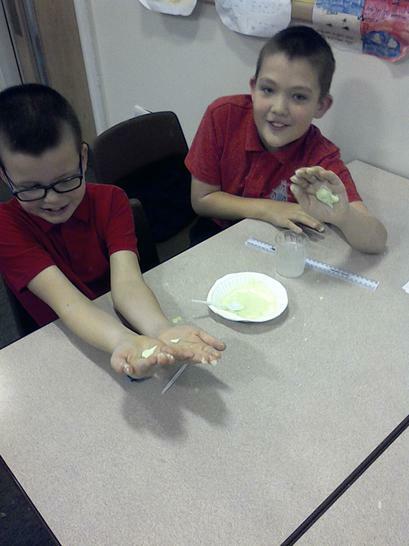 Yes, actual slime! It really was a a fun but messy experiment. 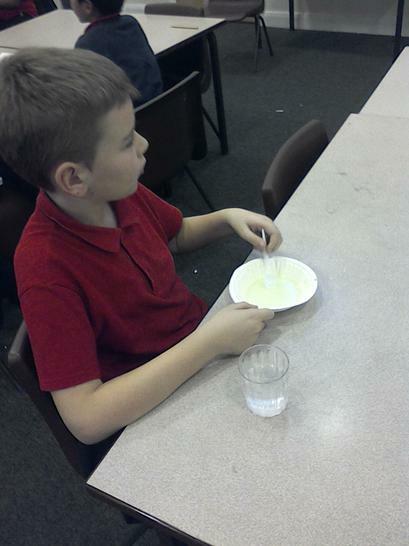 It is really simple to make, all you need is; cornflour, water, food colouring, a bowl and a spoon! So you can even make it at home. 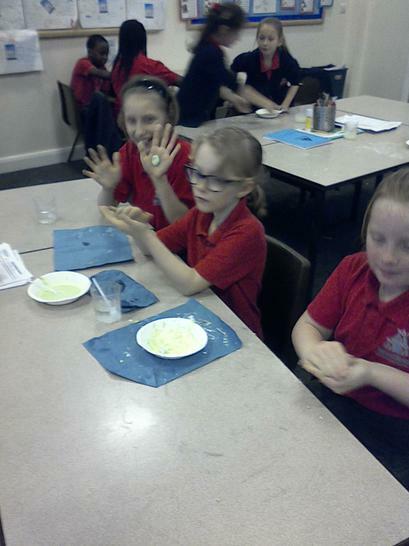 The mixture works both as a solid and a liquid, which is very strange, it is all to do with the particles moving around when you play with the slime. 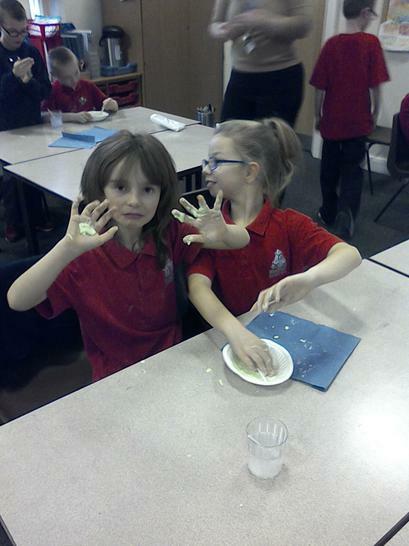 Have a look through our photos of the children making and playing with the slime. 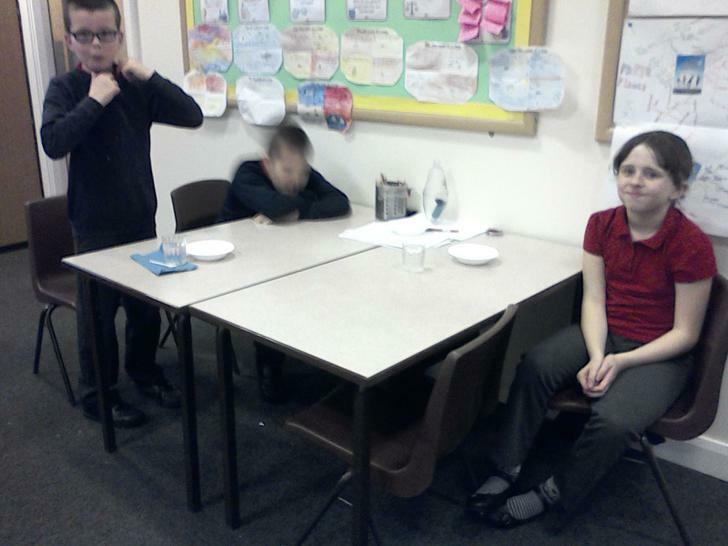 This week we have designed our own alien masks. The children planned their project first, considering how they want their alien mask to look and the materials they will need in order to make it. 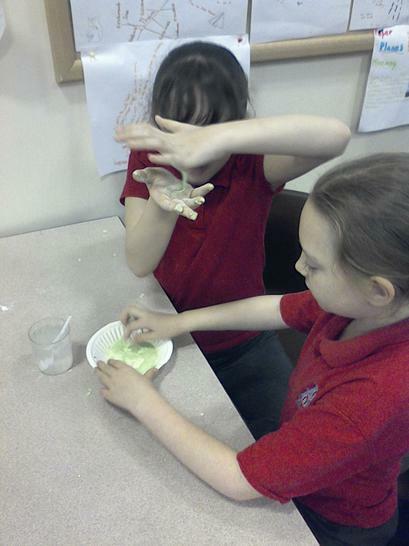 We have used gummed paper to create our masks and the children brought in lots of different bits and bobs to decorate. Please look at next weeks blog to see the final products! Our certificate winner this week was Jakub for his outstanding effort he has put into this weeks writing. Especially for the WOW sentence he wrote using comparative language.